Daniel Rickey has been making furniture in Richmond, VA since 2012. His goal is to design and build furniture that incorporates clean lines, is built to last, invites touch and is pleasing to be around. In addition to his one off originals, he designs and builds custom pieces for residences as well as corporate clients spanning up and down the east coast. All of Daniel's furniture is made by hand using traditional and contemporary techniques. Daniel personally selects each piece of wood, always looking for ideal color and grain. 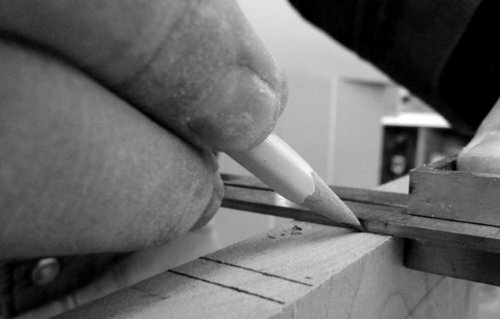 He hand fits each joint to ensure lasting quality and durability.